Have you been looking for a private get away? This is the property for you! OFF GRID!! Over 62 acres of privacy surrounded by state land, with 2 camps! The main cabin is a rustic, open concept cabin, built in 2013, featuring knotty pine walls, pine counter tops, built in shelving, pebble style rocket heater for heating efficiency! The camp runs off a generator, which is being included. The current owners resided here year round while they lived in NY. The camp located by the road at the front of the property is a "bonus camp" that could use a little elbow grease to be restored. Located on a seasonal road. 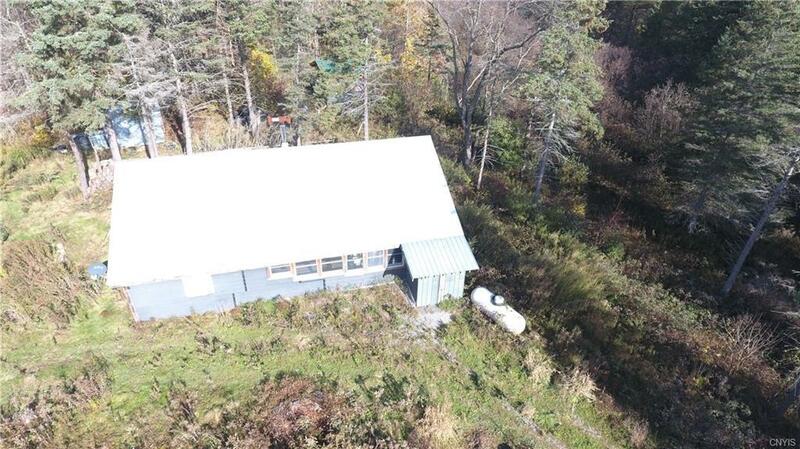 Exceptional views, prime hunting land (I encountered a turkey while walking the path), conveniently located close to the snowmobile and ATV trails! Nature lovers paradise!! !